We can transport most of our standard conveyor ranges worldwide. 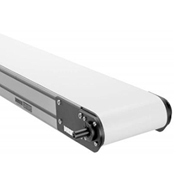 Smaller conveyors can be sent to virtually any address worldwide via DHL and other air freight carriers. Estimated prices for transport can be calculated for you, just get in touch. For larger and custom built conveyor systems, there may be occasions where shipping by air or sea makes the product uneconomical to ship. In these situations, we will advise and if possible suggest alternative local suppliers to you. In some situations, to facilitate economical shipping a conveyor may be split into one or more sections or subassemblies for shipping. In this case guides and connectors will be provided for easy re-assembly. If you have any concerns or questions about shipping and transport in the UK or anywhere in the world, again just get in touch.